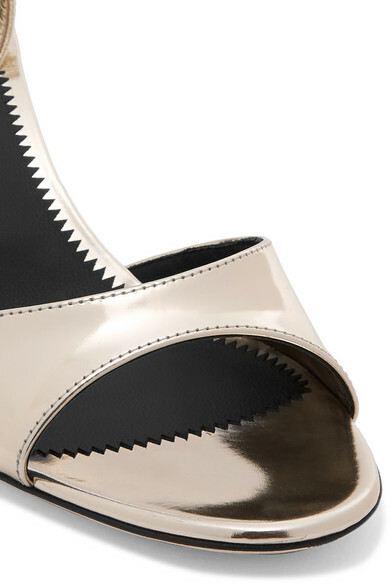 Giuseppe Zanotti makes a strong case for this season's '70s trend with these sandals. Made in Italy from metallic gold leather, this pair is set on a flared 70mm heel that lends itself so well to dancing. The elasticated slingback strap ensures a secure fit without irritating the soft skin around your ankles. Shown here with: Joseph Dress, Hunting Season Shoulder Bag, Jennifer Fisher Ring.